Recent research has shown that medication used to reduce the stomach’s production of hydrochloric acid significantly increases the risk of pneumonia. It is ironic that too much acid production is not the cause of the majority of the conditions listed above. They are generally caused by poor diet, food allergy or intolerance and sometimes obesity. Acid suppressing drugs take away the symptoms, but they do not address the cause of the condition. Research published in the Canadian Medical Association Journal showed that out of every 200 patients taking acid suppressing medication, one will develop pneumonia. Previous research has linked these drugs to an increased risk of respiratory tract infections in adults and children. 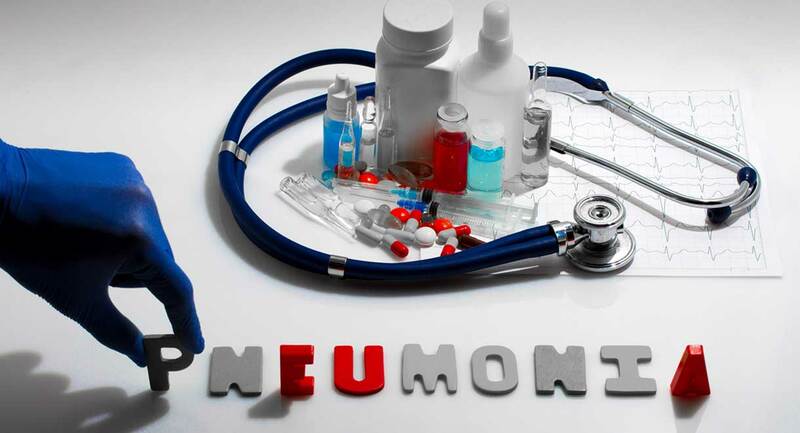 The risk of pneumonia is not too great in the average person taking these drugs, however between 40 and 70 percent of all hospitalized patients are given acid suppressing drugs. As you know, hospitalized older patients are at significantly increased risk of pneumonia. Pneumonia is often fatal in elderly patients. This study indicates that it may not just be the abundance of harmful, antibiotic resistant bacteria lurking in hospitals that leads to high rates of pneumonia in elderly patients; it may be the acid suppressing drugs many of them are taking. An increased risk of pneumonia is just one of many side effects of these drugs. Stomach acid suppressing medication is bad news. You need hydrochloric acid in your stomach. It is there for some very important reasons. If you suppress acid production, you will not be able to digest food and absorb nutrients adequately. This will leave you with nutrient deficiencies and place you at increased risk of various health problems, including osteoporosis and dementia. In addition, stomach acid has a disinfectant action. If you don’t produce adequate stomach acid, you are at increased risk of bacterial overgrowth in your stomach and intestines, as well as food poisoning and gastroenteritis. It is important to realise that acid suppressing drugs are bad for you, but chronic heartburn and acid reflux are bad for you too. The acid wears away the lining of your esophagus and in time greatly increases the risk of esophageal cancer. Anyone who has suffered with long term acid reflux should have a gastroscopy performed to check on the health of their esophagus. The vast majority of cases of reflux and indigestion are caused by eating foods that you cannot digest properly. The biggest culprits are dairy products, gluten and all grains in general. Eliminating these foods from your diet is often the cure for digestive problems. Spicy foods, citrus fruits, tomatoes, cucumbers or capsicum cause problems for many people with heartburn and reflux. However, we often find that when you eliminate grains and dairy products from your diet, you will be able to tolerate those fruits and vegetables again. Losing weight if you are overweight is very important too. Excess fat in your abdominal region places pressure on your stomach and promotes acid in your stomach to travel up into your esophagus. 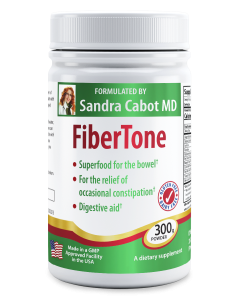 Fibertone contains slippery elm, pectin, ginger, peppermint and other ingredients designed to soothe and help heal an inflamed esophagus or stomach. You can take one teaspoon of Fibertone in a little water after each meal, to help reduce reflux. Digestive enzymes will help you to digest your food more thoroughly. If your digestive system does not produce sufficient enzymes, you are prone to suffering with bloating, indigestion, heartburn and reflux. 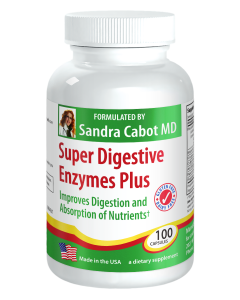 Taking a digestive enzymes capsule with each meal should help you to feel much more comfortable after eating. Don’t discontinue any medication without consulting your doctor first. The above statements have not been evaluated by the FDA and are not designed to diagnose, treat or cure any disease.